I know what you’re thinking… Halloween isn’t for another 8 months! As I peruse the internet though, I look at various posts and always think to myself, “What good does a Halloween card example do me on Halloween! 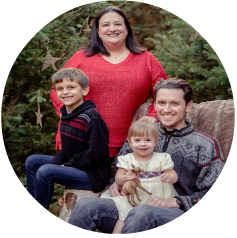 !” As I approached this Get Inky button challenge I wanted to give you something you could use to plan ahead. 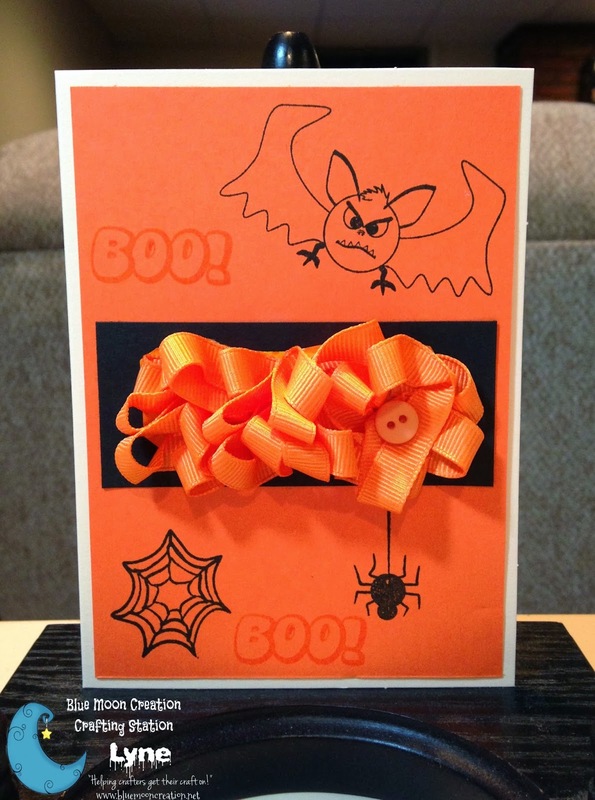 I used the Get Inky 2013 Halloween set to create my card. Going into the creation process the only thing I was certain of is I wanted to the ribbon to look like a messy horizontal spider web, and use the spider stamp like he had just finished spinning it. The button, while it matches in color because black was to much of a contrast there, it the “prey” that got caught in the web. After all this thought I was exhausted…haha. I hope you will come and join us for the button challenge. We also look forward to seeing what you create too! Always good to start early! What a fun one!